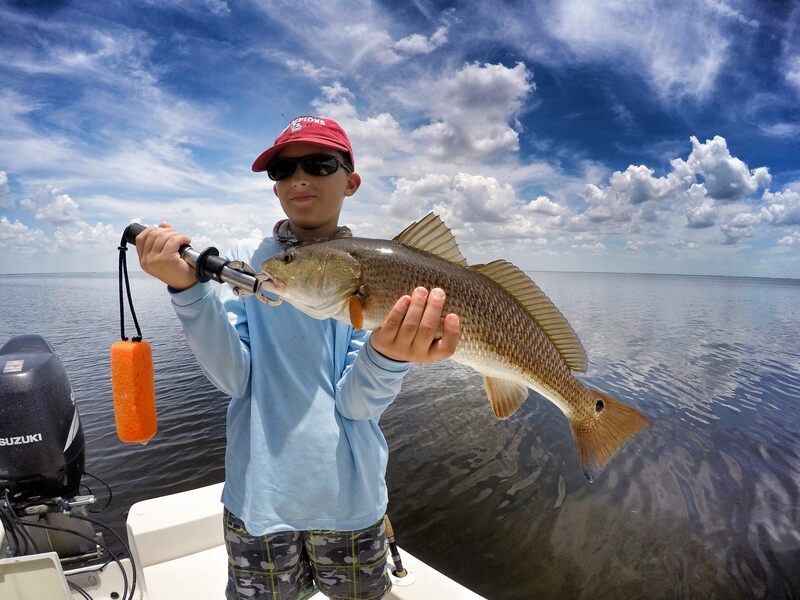 Southwest Florida is an angler’s paradise year-round, but springtime is when our local fishing really shines. As the waters are warming up, tarpon, reds, snook, and many other species are becoming more active both inshore and offshore. So now is the perfect time to prep for your next big catch. Our name may say Go Boating Florida but that’s mainly because “Go Water Activities Florida” doesn’t quite have that same ring to it. The truth is, we’re big fans of all kinds of recreational water activities, not just boating alone! The Sunshine State provides limitless opportunities to spend time on the water. 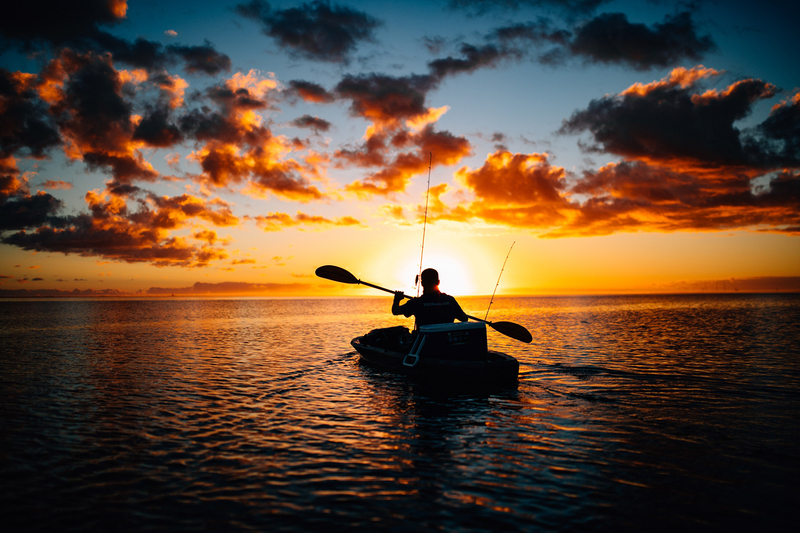 So if you’re looking to spice up your boating routine or your next vacation, try some of these other ways to find fun on the water. Some might prefer plush pillows in a hotel, but some of us prefer plush sand under a tent, right? 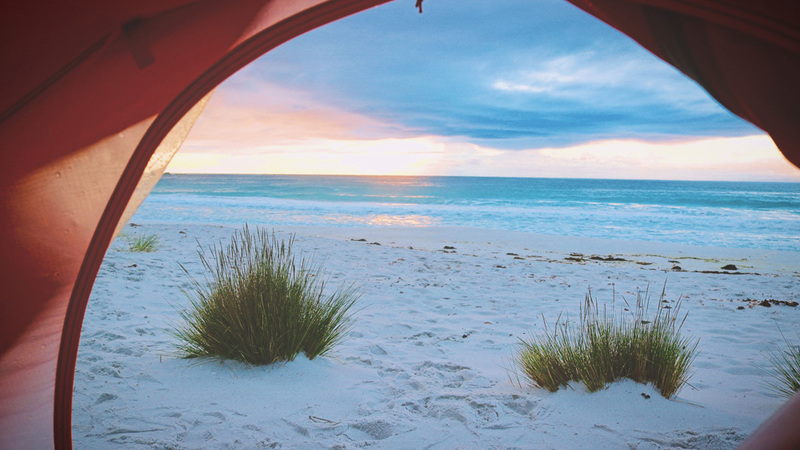 Florida’s wild side provides great opportunities for two of our favorite things: boating and camping! If adventure with a side of untouched beauty sounds like the thing for you, check out these boater-friendly state parks along Florida’s west coast. We think boating is certainly the best way to spend time on the water, but we also care about the environment just as much as we do a fun day of boating. When boaters make poor decisions or don’t take the proper preventative measures, many unintentional and unexpected consequences can affect our famous Southwest Florida environment. Memorial Day is upon us, which means boating, beaches, and burgers. But most importantly, it means taking time to honor our fallen military service members. 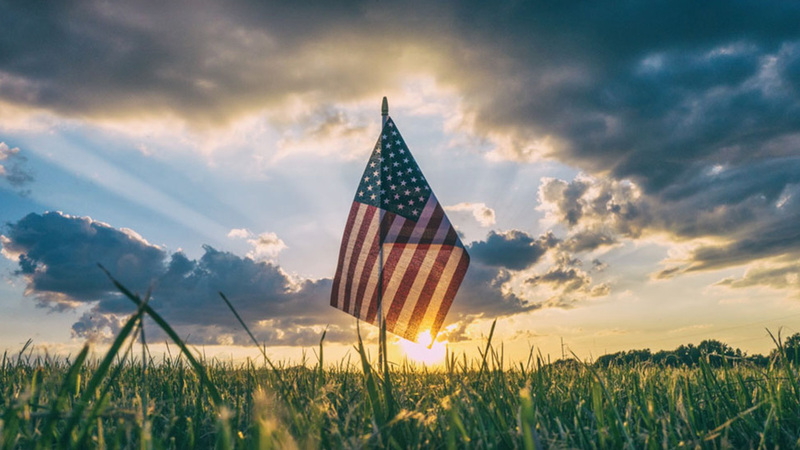 Before you hit the water, check out these 5 special events happening around SWFL where you can celebrate and support military personnel and their families. Be sure to check out our Boater’s Resource Directory for waterfront dining, boat rentals, and other celebration inspiration! TRICKS OF THE TRADE: Docking in windy conditions. Spring in Florida means a couple of things. Less boat traffic, and more windy days. Yes, just about the time the tourists start blowing out of town, windy conditions start blowing our boats around a bit more. We see this as an opportunity to pass a long some great boat handling tips…because if you can manage your craft in snotty conditions, fair weather days become just that much easier and more enjoyable. Living on a planet that is 2/3 water might qualify a boat as a necessity rather than a luxury. We could not agree more! So let’s get down to the necessities of your shopping criteria and get you started. Question 1 – What kind of boat? Day boats are designed to entertain guests and deliver good performance. They are intended (as the name implies) to be taken out for the day and not stayed on overnight. Cruising boats are also designed for entertaining guests but are not typically as fast or agile as a smaller day boat. They offer cabins and overnighting capabilities, and typically include a head (toilet area) and some form of galley (kitchen) equipment. Fishing boats are designed with open cockpits in the rear of the boat to maximize the deck space needed for fishing. Plus, they are usually equipped with specialized storage areas and compartments for rods, tackle, bait and the day’s catch. Watersports boats are designed for waterskiing, wake boarding and towing various water toys at speed. They range from basic sport boats and jet boats to specialized tow boats—which tend to be for the more experienced tow sports enthusiast. Question 2 – What Size? Boat size is an important consideration. The bigger the boat, the more features it typically has—like cabins, galleys (kitchens), heads (toilet areas), and so on. The downside to bigger boats is they are more costly to buy, operate and maintain, have more systems to understand and operate, and might not be trailerable. When you’re first getting started in boating, we recommend your first boat be no larger than 24 feet. This, of course, must be balanced with the amount of passengers and gear you plan to bring aboard. Resist the urge to go too big too soon. Question 3 – New or Used? The next step is to decide if you want to buy a new or a used boat. Each has its pros and cons—not unlike cars. New boats should provide you with trouble-free operation right from the start. They are sold by dealers who order them direct from the factory and, provided they get the right dealer-prep, are in first-class condition. Before buying a new boat, make sure the dealer you are considering will support you after the sale throughout your term of ownership. Ask around at boat shows and at the dealer’s location to make sure you’re buying from a reputable dealer with a strong commitment to customer service. 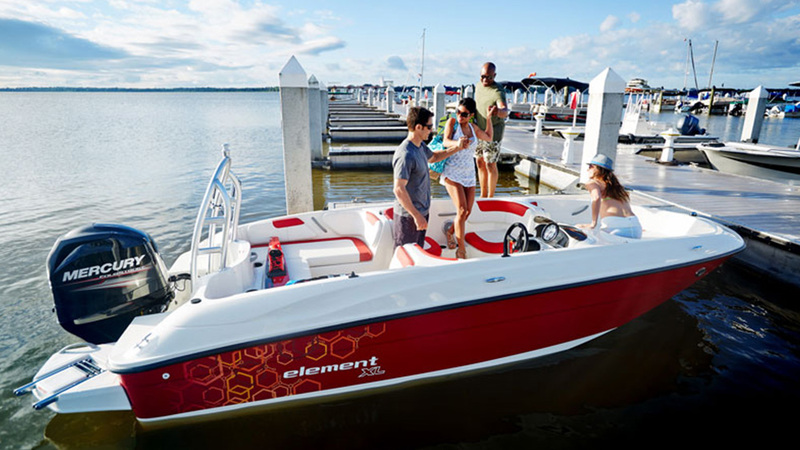 The downside to new boats is they cost more than a similar used boat, but when you buy new you are entitled to all the warranty coverage and manufacturer’s support that comes with buying a new boat. A used boat may or may not still be covered under the manufacturer’s warranty. These can be sold by a) dealers (who’ve taken the used boat in on trade), b) brokers (who don’t own any boats, they just represent them for sale), or c) private individuals. You take a greater risk on the overall quality of a used boat than you do on a new boat since you don’t know the history of the boat, its maintenance, or whether it’s been involved in any type of accident or suffered any damage. Many of us will bring a used car to our mechanic prior to finalizing the purchase of a used car. By the same token, you can (and should) hire a marine surveyor to go over the boat carefully. The survey will uncover any problems with the boat, and let you know whether you’re getting a good deal or just buying somebody else’s headache. Question 4 – Which Make and Model? 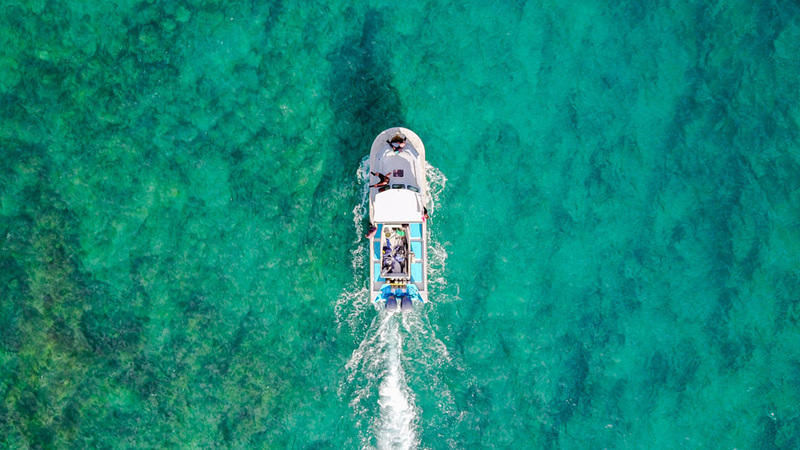 Once you decided which type of boat and whether to buy new or used, the next step is to narrow your search down to which boats you want to actually see firsthand and take for a test drive. There are several magazines and websites that regularly do roundups and buyers guides to help you with your research. BoatTEST.com is one good example. They classify boats by type and have helpful video tests online so you can see the boats run and get the tester’s opinions on where can save you countless hours as you do your research. Selecting the correct propeller is a critical factor in maximizing your boat’s performance.Choosing the correct size and style of prop for your boat will keep the engine operating within its recommended rpm range and allow it to harness as much of its horsepower as possible. Prop measurements have two key designators: diameter and pitch. Diameter is determined by doubling the distance from the center of the hub to the tip the prop’s blades. A good rule of thumb is smaller diameter props are typically used with smaller engines/boats, and larger diameter props are typically used with larger engines/ boats. Pitch measures the forward movement of the propeller’s blade during one complete revolution. This is measured in inches. Lowering prop pitch will increase acceleration and thrust. Increasing prop pitch will make the boat go faster (provided the engine has enough power to keep the RPMs in the optimum operating range. If the engine doesn’t have enough power to run a higher pitch prop, performance suffers across the board and you could easily damage your engine. A good test is, if the prop lets your engine operate at Wide Open Throttle (WOT) within its correct rpm range, you’ve got a good prop fit. Number of Blades. How it adds up. fast.) Today, with higher fuel prices and tighter economic times, boaters are taking a second look at this debate. Speed is now a much smaller part of the boating equation. In turn, practical, real-world performance is the name of the game for most people. So, which props should you be using, 4-blade or 3-blade? Traditionally, the idea that 4-blades were slower than 3-blades was true to some extent. But what you need to keep in mind is that many of those 4-blade props were not designed with speed in mind. Instead, the earliest designs were intended to cure handling issues such as ventilation, cornering blowout, motor elevation requirements, and hole shot issues. Without many options in blade design, and very few of them truly intended to be particularly fast, the 4-blade got branded as slow, while their other performance benefits were largely dismissed. In contrast, today’s 4-blade propellers have evolved into both all-purpose and highly specialized designs. This new generation of props can be tailored to not only address those traditional handling issues, but can also be tailored to improve a boat’s performance range, which can, in some cases, include speed. Before making a choice, determining your performance priorities will help you determine your prop choice. Special curved trailing edges enable the prop to maintain performance at higher trim levels and in tight corners. 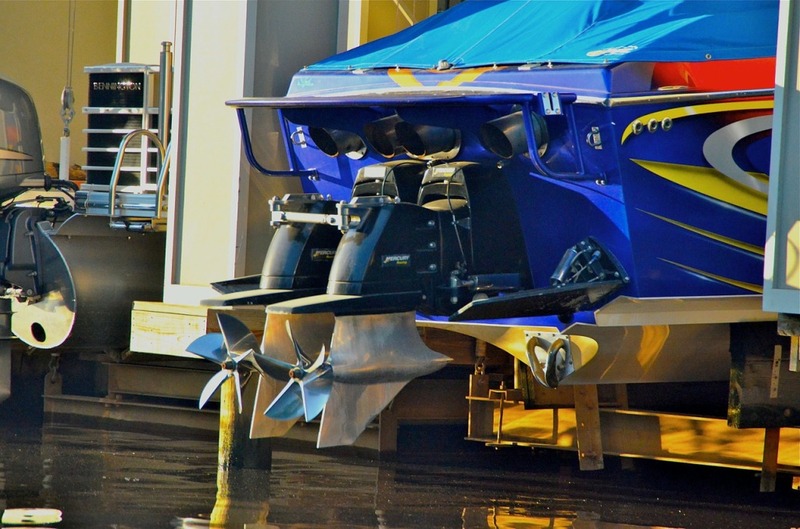 Cupped boat props allow most boats to achieve a higher top-end speed or at least the same speed at a lower engine RPM. They also promote more efﬁcient fuel consumption. Propellers can be made of composite, aluminum, and stainless steel. Composite boat props offer good performance, are durable, and inexpensive. They also offer some protection for your lower unit during a prop strike becoming something of a sacriﬁcial lamb. Aluminum props are the most common and are suitable for the widest range of applications since there are so many models and styles available. Stainless steel props offer the highest performance—due to their lack of ﬂex—and best durability. Spare yourself the pain…carry a spare. Finally, always have an extra propeller on board with tools allowing you to change it out. If you have a prop strike or spin out a hub, you will only be delayed a few minutes and not miss out on any for or worse—be stranded. Learning begins with the basics. Master the fundamentals of anything and your ability to advance becomes much easier and firmly rooted. For boaters, there are four basic areas that provide that foundation. Master these, and you are well on your way to becoming a skilled and responsible boater. Certified Coast Guard Captains are required to memorize vessel and engine specification manuals that are hundreds of pages thick. This way, they know their equipment down to the last bolt and, therefore, can confidently bring their crew and boat safely through dangerous situations. In the same way, knowing your recreational boat boat will bring you similar confidence. Start with your boat’s manual (if you have one). This will be your best guide to the features and design of your boat. It should also contain important information for safe operation and maintenance of the craft. Also, make sure you know how to operate the boat’s electronics. At minimum, you should have a VHF-FM marine radio to contact the Coast Guard in the case of an emergency (Channel 16). Purchase navigation charts of the waterways you travel. Store them on your boat taking care to make sure they are wrapped or stored in plastic so they stay dry and legible. Study them often. Be mindful to learn landmarks, hazards such as submerged objects, and safe channel markers. Know where shallow areas are so you are not running aground. Take the time to go on outings solely for the purpose of learning the area, and use your charts to become more familiar with your local waterways. Apps like this one for Lee County, FL are a great resource and a smart added tool. Beyond this, knowing how to navigate using a compass, GPS, and a chart will allow you to pinpoint your location and chart a safe course. This will all help you to eventually become a skilled navigator, and expand the limits of where your boat can take you. Similar to the rules that govern the safe flow of traffic for road vehicles, there are similar rules to govern the safe maneuvering of boats. Called Coast Guard Navigation Rules, they are also known as “Nav Rules.” Although recreational boaters aren’t required by law to know these rules, it is highly recommended. These rules teach boaters safe boating protocol. EXAMPLE: Do you know who has the “right of way” when you approach a sailboat under sail power alone? ANSWER: The sailboat does. You must maneuver your boat to allow the sailboat safe passage. Boating can become dangerous quickly when boaters don’t know these rules, and it’s not safe to assume you can apply road driving rules to marine situations. Both the U.S. Coast Guard and local marine law enforcement agencies have the authority to board your boat to ensure your compliance with safety equipment rules and regulations. Depending on size, most vessels are required to have navigation lights, a sound signaling device, emergency flares, and life jackets. The larger the vessel, the greater the requirements. Visit the Coast Guard’s regulation page to learn more about these and make sure you are in compliance. As you master these four basic areas, consider taking a Coast Guard Auxiliary safety course. It is a small investment of time that can make your time on the water safer and more enjoyable. One of the common frustrations in boating is a general lack of awareness when it comes to observing the ‘rules of the road’ when on the water. While many states require young boaters to successfully complete a boating safety course before operating a boat or watercraft, it can be argued that boaters of all ages should be required to show proficiency in boat handling along with some simple instruction on basic boating courtesy—beyond what is required by law. While, in most cases, discourteous boaters are simply ignorant of basic courtesies, many are simply indifferent or just plain obnoxious. The following is a look at what you might call the Top 7 Boating Sins. They range from the mildly annoying to things you might think should be punishable by more medieval means. See if you agree. Most boaters understand the concept of slowing down when passing between a group of other boats. This means leaving no wake as you pass. Slowing down just a little so that your boat “plows” thru the water is actually more disruptive to somebody (who is, for instance, trying to fish) than passing on plane and leaving less wake. While sharing is generally a good thing, forcing your musical tastes on others is not. Voices carry over water. Radios and loud music carry even further. Keeping the volume at a courteous level goes the furthest. The first boat to arrive at a fishing area gets to set the tone regarding how others arriving later should fish. If the first boat starts trolling counterclockwise, you should too. If the first boat anchors up, back off a respectable distance and drop anchor. If you want to be the one setting the standard, get there earlier. If anglers in a boat are obviously working a stretch of shoreline or reef, pass by behind them without leaving a wake. Anything else is rude and should not be outside the reach of anyone’s common sense. Personal Watercraft users need to keep in mind that the rules apply to them as well. A smaller craft does not equate to smaller courtesy requirements. Virtually everyone knows littering is wrong…we learn this as children. No one want to see our waters and shorelines covered with litter. A boat ramp is for launching a boat. Not rigging a boat for launch, loading gear or casual conversation. When boating alone your rig should occupy the ramp site for no more than five minutes. When boating with a buddy, no more than two or three minutes.